Rev. Dr. Paula Northwood recently was named acting senior minister. She joined the Plymouth clergy in 2003. She has responsibilities for Outreach and has overseen Religious Formation and Spiritual Exploration for children, youth and adults. Previously, she was employed as Minister of Christian Education for Children and Youth at Judson Memorial Baptist Church, Minneapolis,1998-2003, worked at Faith in Action, and held positions in the local and national Mennonite Church. Paula lives with her family in St. Paul. She has an adult daughter, Kristin Grant, who lives in Duluth with her husband and two daughters. Send an email: paulan (at) Plymouth.org. The Rev. Beth Faeth has served Plymouth since March 2017. Her primary role is to provide pastoral care to members of the congregation. 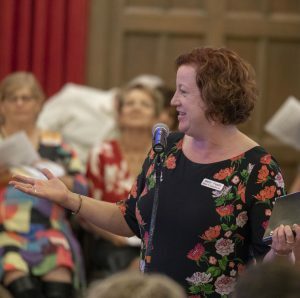 She is also the clergy support for many significant ministries, including the Befrienders, Board of Community Life, Mortality Project, Faith Partners in Recovery and the Board of Worship. 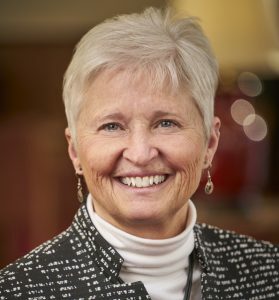 Ordained in 1994 in the United Church of Christ, Beth has served as pastor and chaplain in a variety of church settings in Wisconsin and Minnesota. She lives with her two delightful teenage daughters in Stillwater and describes herself as “a hopeful gardener, a musical theater lover, a compassionate listener and a belly laugher.” Send an email: bethf (at) Plymouth.org. Seth Patterson was hired as the Director of Children and Youth Ministry in August 2016. He became the Director of Spiritual Formation and Theater in February 2018. He works with Paula and Beth as a member of the clergy team and is the liaison to the Board of Spiritual Formation and its committees as well as the Theater Committee, Caring 4 Creation and the Racial Justice Task Force. 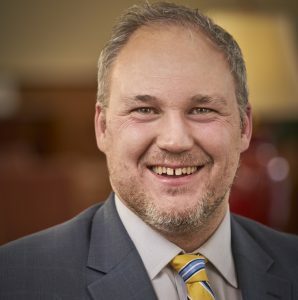 He is a member in discernment with the Minnesota Conference of the UCC (available for ordination in August 2018) and has an MDiv from the University of Chicago. He lives in south Minneapolis with his artist/activist wife and intelligent/playful/compassionate daughter. Send an email to: sethp (at) Plymouth.org. Daniel Wolpert, a healer and student of the spiritual life, worked as a research scientist, psychologist, spiritual director, farmer, teacher, and construction worker before earning his Masters of Divinity degree at San Francisco Theological Seminary. Over the past 30 years he has taught in the fields of psychology and spiritual formation, led retreats, and delivered talks across the country and around the world. Recently he worked as a church pastor and now continues his spiritual direction and healing work in private practice and through the Penny George Institute for Health and Healing. Daniel is the co-founder and Executive Director of the Minnesota Institute of Contemplation and Healing and author of four books. Send an email to: danw (at) Plymouth.org. To call our ministers or staff, please dial the main phone line: 612/871-7400.